Race day is almost here and I’m just jumpy and tired and more jumpy and anxious. And I have no idea why. It’s not like I’m trying to break a speed record. I’m just hoping to finish without injury. It’s been a very trying year and I’m just now getting back into regular running and training. But my head is all in knots so I’m going to leave this discussion for later. AFTER I cross the finish line. Guess what was on my doorstep today????!!!! 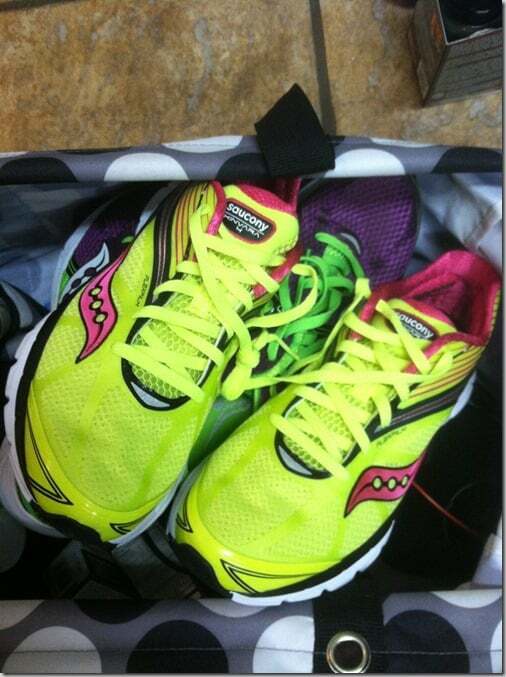 The Saucony Kinvara 4. That’s right. The 4. 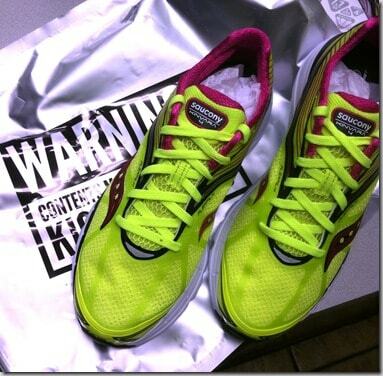 These are scheduled for a soft release at the Boston marathon and in the special edition green color. After that, the regular release is in May. But several of us got a huge surprise this afternoon. The amazing team at Saucony overnighted these to us. When I started seeing the Instagrams and tweets about these, I didn’t get my hopes up that I would have a box waiting for me. As soon as I got home, I checked the porch, squealed, and used a pen to open the box right there on my front step. And then I danced a little jig that offended only my cat since nobody was in their yard. 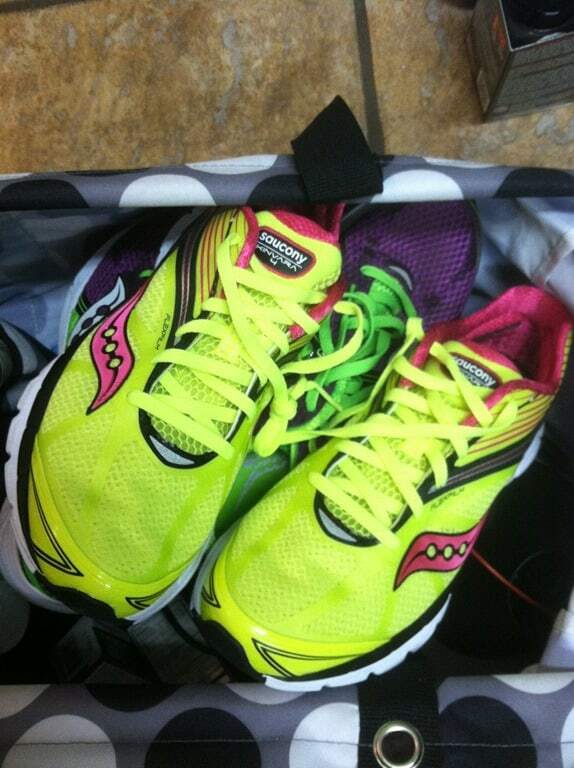 I cannot WAIT until after the race to start putting some miles on these! These have already been labeled my “magic shoes”. Hey, I live in Alabama. We claim Forrest Gump. And let’s just say, this surprise is better than any box of chocolate. I took them to my race for the weekend even though I won’t be using them for the half marathon. I couldn’t leave them behind! Previous Post: « Only Wednesday!